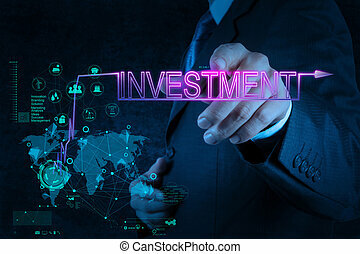 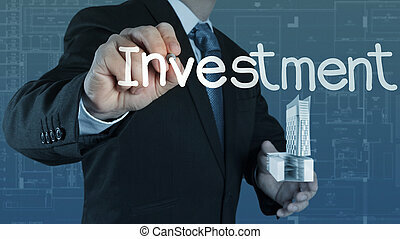 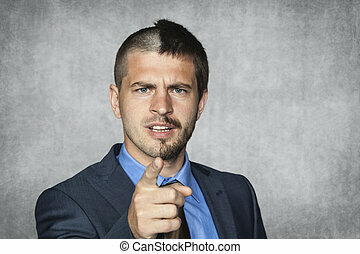 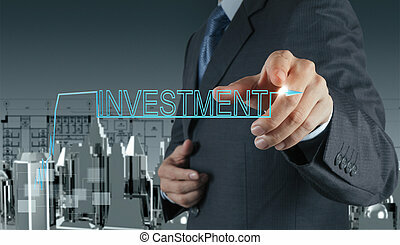 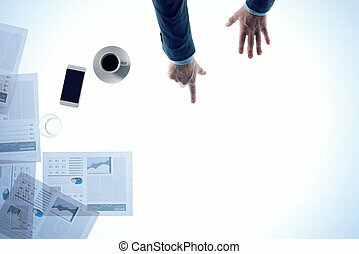 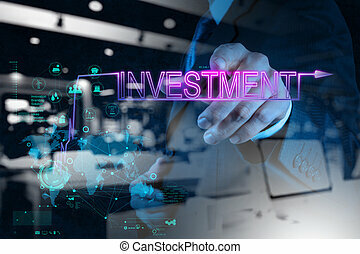 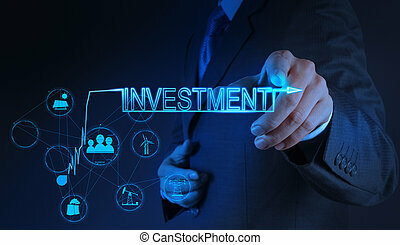 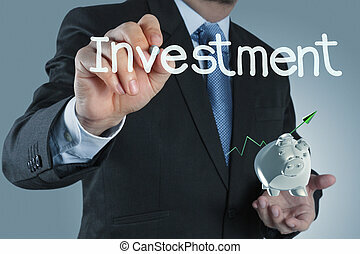 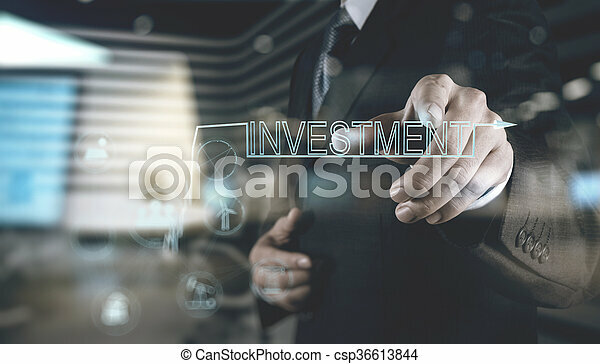 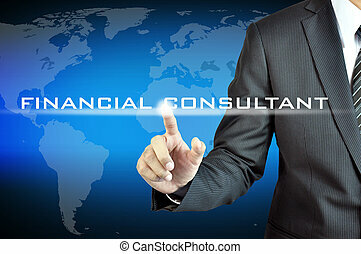 Double exposure of businessman hand pointing to investment as concept. 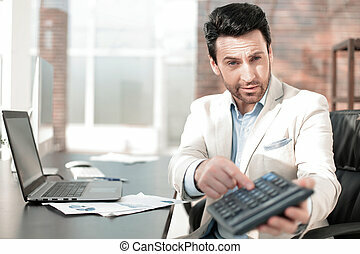 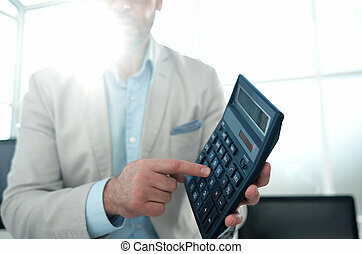 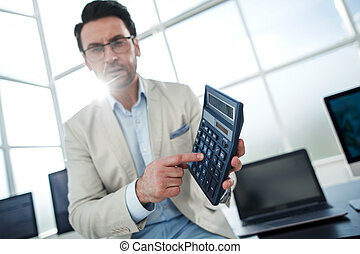 Businessman pointing to calculator in hand.Presentation of the annual report. 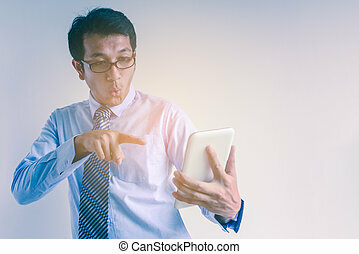 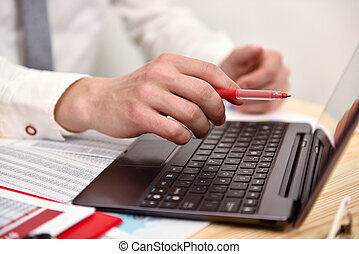 Businessman exciting and pointing to tablet. 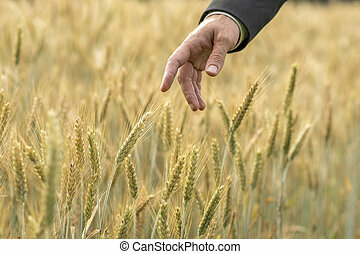 Hand of a businessman in a suit pointing to a ripening ear of fresh wheat in an agricultural field in a conceptual image. 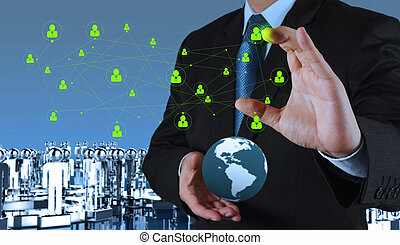 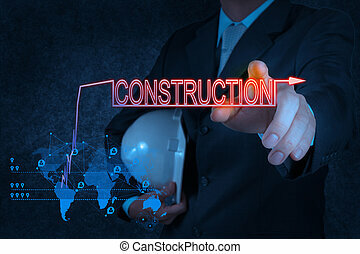 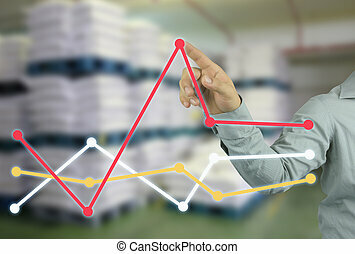 businessman hand pointing to top of Red arrow in your work concept business on warehouse blur background. 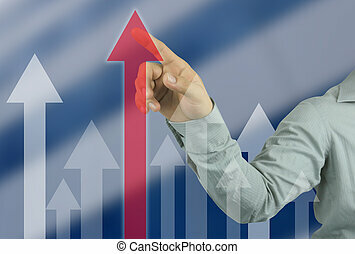 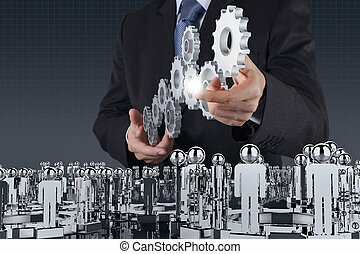 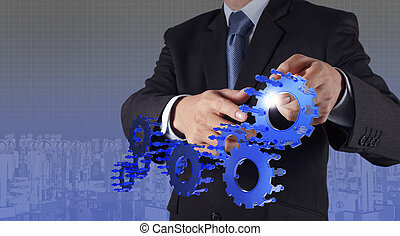 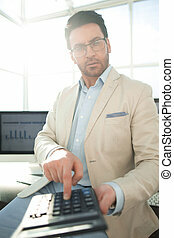 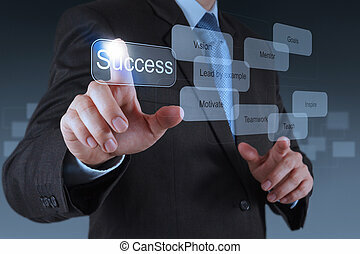 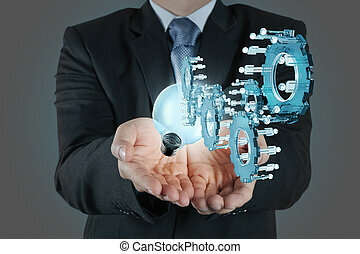 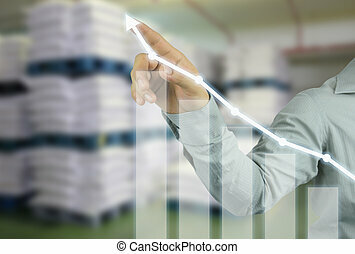 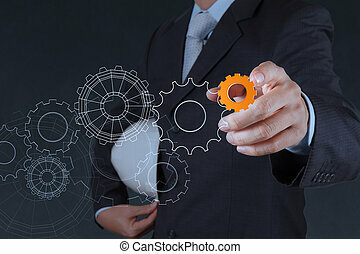 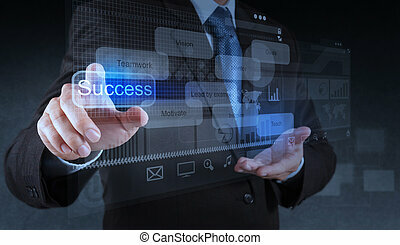 businessman hand pointing to top of profitability graph in your work concept business on warehouse blur background.